The Medical Center at the University of Maryland describes a vegetarian diet as a meal composed mostly of plant-based foods that include; whole grains, vegetables, fruits, seeds and nuts, and may have some or absolutely no foods or food products of animal origin. The Medical Center at the University of Maryland describes a vegetarian diet as a meal composed mostly of plant-based foods that include; whole grains, vegetables, fruits, seeds and nuts, and may have some or absolutely no foods or food products of animal origin. Vegetarian diets accordingly may be classified into several categories based on individual preferences, health status, one’s sensitivity towards animals, socio-economic status, and religious faiths. The lacto-vegetarian diets include products of dairy origin as well, while the ova-vegetarians accept eggs as a part of their diet, along with the plant based foods. The lacto-ova-vegetarians understandably will involve inclusions of both eggs and dairy products, along with all plant foods, such as fruits, vegetables, herbs, and spices. Vegan meals are another variant of vegetarian diets that restrict to foods that find their origin solely from the plant kingdom. 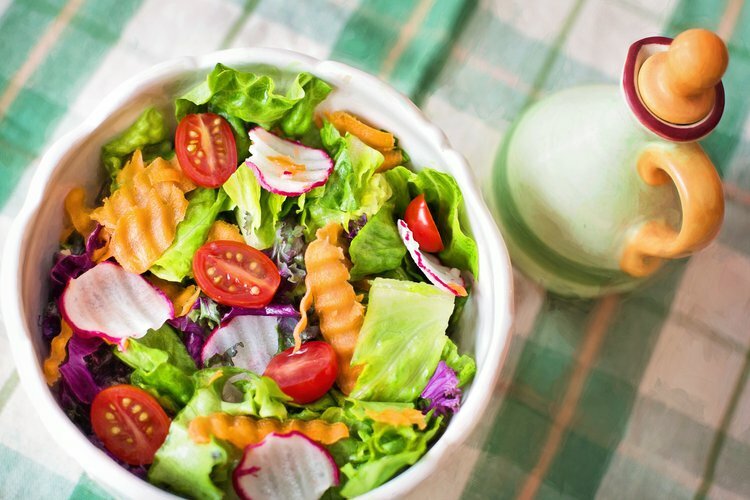 When individuals choose to consume vegetarian preparations on a regular basis and yet include non-vegetarian foods occasionally in small quantities, the practice is termed as a “flexitarian diet” owing to the flexibility of acceptance in one’s diet. A study featured at the American Journal of Clinical Nutrition in the year 2003 stated that a well-balanced plant-based or vegetarian diet could aid in preventing nutrient deficiencies as well as diet associated diseases in the best possible way. However, if the vegetarian diet is unbalanced or poses too many restrictions, then it may lead to deficiencies and associated diseases, particularly when the metabolic demand is at its peak. Another reason why vegetarian diets could fail is if a variety of plant based foods is not included and a high amount of saturated fat finds place on the plate most of the time. Hence, careful planning to construct and follow a well-balanced vegetarian meal is the key for vegetarians to maintain optimal nutrition and good health. The Department of Nutrition at the Loma Linda University of Public Health, hence formulated a vegetarian diet pyramid as guide to help vegetarians plan their meal with a systematic, balanced approach. The guidelines emphasize on the inclusion of a variety of plant based foods, sufficient water and fluid intake, including a variety of healthy fat sources, practicing a physical activity form on a regular basis, sunlight exposure in moderation, and staying low on refined foods. The base of this pyramid indicates that the staple vegetarian diet must be composed of 5-12 servings of whole grain and whole grain products accompanied by 1-3 servings of legumes and soy. This must be backed by 6-9 vegetable servings and 3-4 fruit portions. About 2 servings of nuts or seeds and vegetable oils are each recommended. Eggs and dairy products (if consumed) must make 1-2 servings through the day’s menu and finally the apex suggests that sweets and high sugar containing preparations must be the least opted for choices. A reliable B12 food source is encouraged in case vegetarian diet types choose to restrict on the intake of eggs and dairy products. Joan Sabate in his 2003 study concluded that there seemed to be a paradigm shift from the prevention of deficiencies and diseases to the need to have a well-balanced diet and well-balanced vegetarian diets that are being practiced more so. Owing to this, the American Dietetic Association also revised the “My Plate” icon, to make it more suitable for a vegetarian audience to follow. Vegetarian diets are gaining popularity and are being increasingly practiced due to their credit in reducing diseases and deficiencies and enhancing health and overall quality of life. The key is to plan the vegetarian menu well and strike the right balance between your food item choices. Joan (2003). The contribution of vegetarian diets to health and disease: a paradigm shift?1–3 The American Journal of Clinical Nutrition. Rouse, I. L., & Beilin, L. J. (1984). Vegetarian diet and blood pressure. Journal of hypertension, 2(3), 231-240. Kaartinen, K., Lammi, K., Hypen, M., Nenonen, M., Hänninen, O., & Rauma, A. L. (2000). Vegan diet alleviates fibromyalgia symptoms. Scandinavian journal of rheumatology, 29(5), 308-313. Beilin, L. J., Armstrong, B. K., Margetts, B. M., Rouse, I. L., & Vandongen, R. (1987). Vegetarian diet and blood pressure. Nephron, 47(Suppl. 1), 37-41. Key, T. J., Davey, G. K., & Appleby, P. N. (1999). Health benefits of a vegetarian diet. Proceedings of the Nutrition Society, 58(02), 271-275.